A judgement from the Internet Court of Hangzhou translated on social media by Messari head of business development Katherine Wu June 29 confirmed a defendant had used Blockchain to prove innocence. “This court is of the opinion that when the issue at hand involves blockchain technology, an open and neutral attitude must be adopted,” the judgement then ruled. The move marks a significant vote of confidence in decentralized blockchains from China, where authorities have been attempting to define their position on the technology this year. The Hangzhou case involved accusations of copyright theft, the defendant producing evidence from the Bitcoin and FACTOM blockchains to demonstrate no such theft could have occurred. “The defendant had hashed the relevant data onto the relevant chains & proved by way of timestamp that infringement would’ve been impossible,” Wu reports. We should not reject or impose higher standards simply because it involves new technology. Efforts by central government to get a grip on Blockchain had previously extended to issuing ratings of various international projects from the industry, as well as cryptocurrencies themselves. Those ratings had caused controversy from the outset, as Bitcoin failed to make the top ten of twenty-six assets under review, the top spot falling to Ethereum and EOS in the first two editions. At the same time, regulators have confirmed they will issue country-wide Blockchain “standards” by the end of 2019. Despite occasional hopes, however, there remains little prospect of a full U-turn on the official ban affecting cryptocurrency trading, ICOs and other aspects of the cryptoeconomy. What do you think about the Chinese court decision on Blockchain? Let us know in the comments section below! 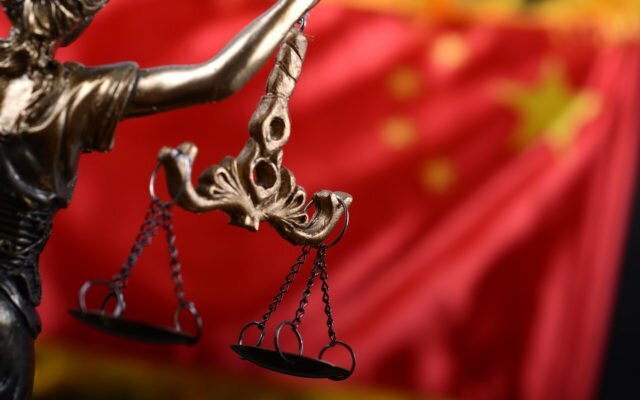 The post Chinese Court Accepts Evidence On The Blockchain in Landmark Case appeared first on Bitcoinist.com.